A small plane crashed into a house as it was apparently trying to land at a nearby airport, killing the male pilot and a woman on the ground, authorities said. Faulkner County Coroner Patrick Moore said at a news conference the woman killed Saturday was an occupant of the house, which is about 500 feet from the runway at Conway Municipal Airport. Conway is about 25 miles north of Little Rock. Moore said a passenger in the plane and another person in the house survived. He did not release their conditions. Roland Herwig of the Federal Aviation Administration said early information indicated the plane "landed long" on a wet runway and was trying to take off again when it hit the house. 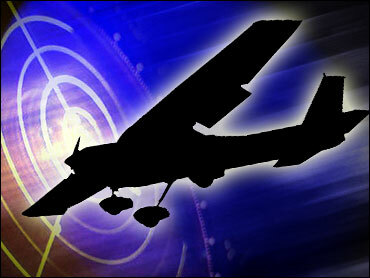 A search of the plane's tail number on the FAA Web site showed it was a Cessna Model 500 Citation, a small jet. Neighboring houses were evacuated and mourners attending a funeral in a nearby cemetery were briefly stranded when emergency crews blocked off the area, Conway Fire Chief Bart Castleberry said. Residents would likely be able to return to their homes late Saturday, he said. It took about two hours to put out the fire that started after the crash, authorities said.